A square is a square: it has four equal sides and four right angles. If only people could stop at that, but no. Since Square scarves are particularly popular in Turkey, many Hijab store will call them Turkish scarves. 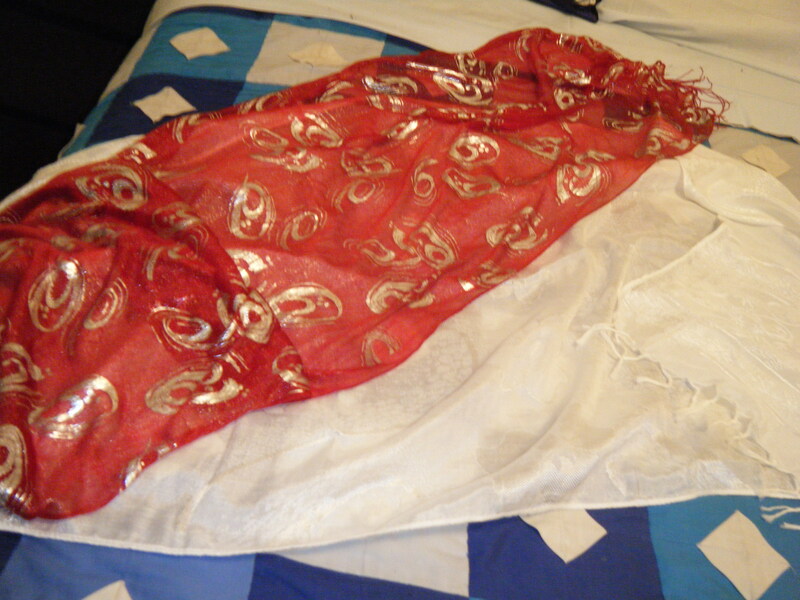 For those stores which market particularly to a Turkish audience, they simply call them Hijab scarves, usually calling rectangular scarves shawls or wraps. 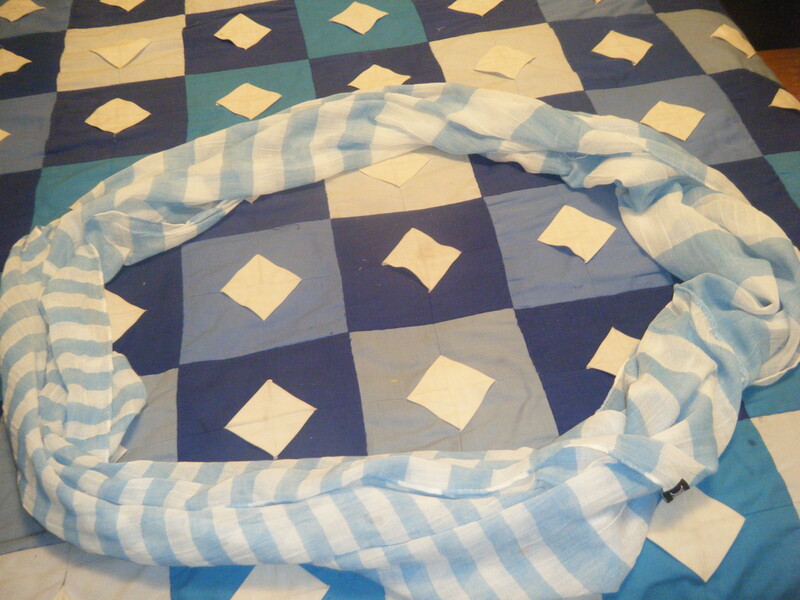 While a square is “technically” a rectangle, a shawl is a rectangular scarf with a length longer than its width. This is by geometric definition an oblong, which is why you can sometimes find them described as such. I have also seen them described as wrap when “hijab” is being used to describe a square scarf. You may sometimes encounter the word sash; even though it usually refers to a cloth belt, it sometimes refers to any rectangular fabric. Stole is also another word used to describe rectangular scarves; traditionally, this refers to a shawl worn over the shoulders. Probably the least common of scarf shapes, the triangular scarf or triangle is still common enough to be mentioned. They are usually isosceles right triangles (two shorter equal side joined at a right angle and one longer side). *Please note, all measures have been converted from inches to cm approximately. While there is no industry standard on what is considered a “regular sized” scarf, most square scarves run somewhere between 30 inches square and 50 inches square (75 cm to 127 cm). 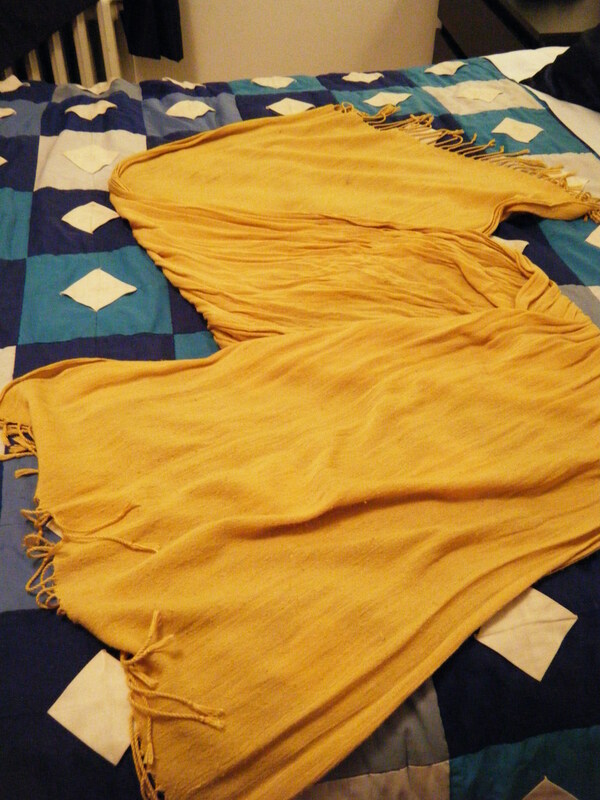 Shawls vary tremendously in width and lenght; a minimum width of 12 inches (30 cm)and a minimum length of 48 inches (122 cm) is necessary to cover the head but most shawl are much bigger, longer, etc. Triangles are usually a minimum of 30 inches by 42 inches (76 cm by 106 cm). 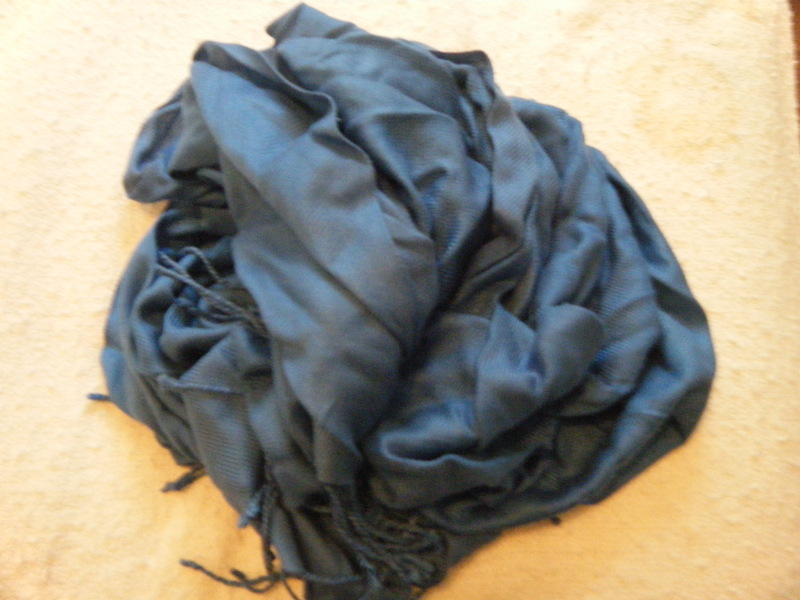 In recent years, the “Maxi” scarf has appeared. It is, for all matters and purposes, an over-sized scarf. Since there is no industry standard on what is considered a standard-sized scarf, it is very hard to determine what exactly is considered “over-sized”. The term sarong–also spelled sarung– is sometimes used, though it should be noted that a sarong is traditionally worn around the waist as a skirt, and in Western countries sometimes as a “dress” over bathing suits. It is usually a minimum of 25 inches by 65 inches (64 cm by 165 cm) or bigger. 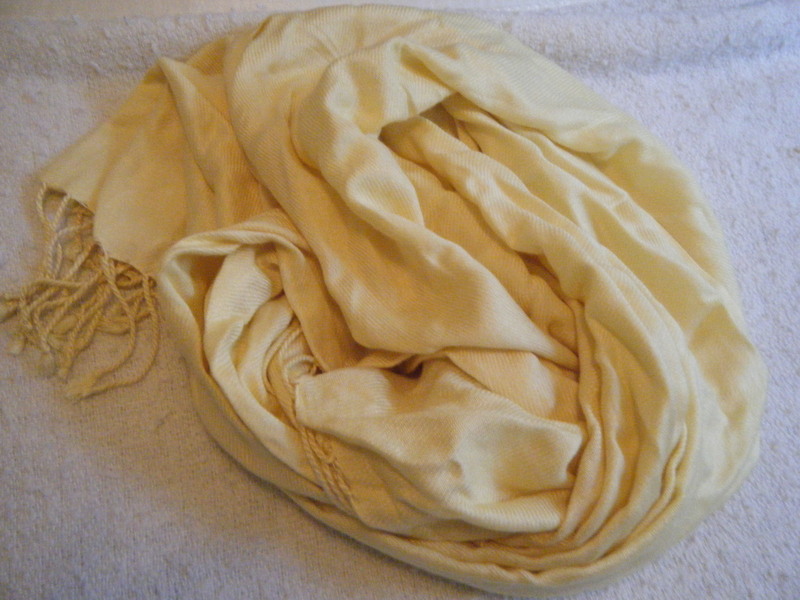 A crinkled scarf refers to a scarf made of pre-wrinkled fabric. These scarves can be made of any material though usually cotton or a cotton blend. They are extremely useful “on the go” because the scarf doesn’t have to look as neat to be charming. This is a sheer fabric, very light and see-through. Can be made of any material so long as it is see-through. Look very beautiful but may require an under-scarf or be used with other scarves. 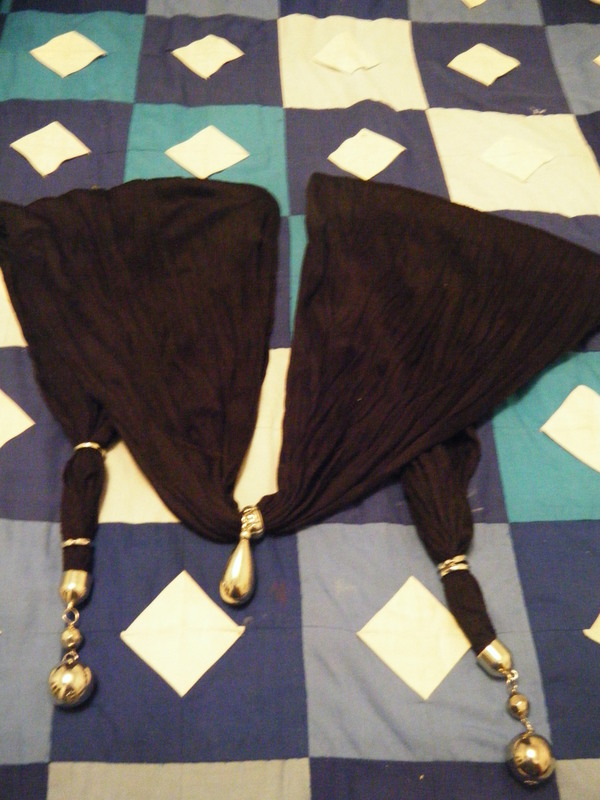 These scarves have pendants, either at each end, in the middle or both. They can be made of any material and usually with metal ornaments. These can be slightly difficult to style but they are so beautiful! While Jersey was traditionally made with wool, it is more and more common to see the slightly stretchy fabric made with cotton. Its slight stretch makes it incredibly comfortable around the neck. If the Jersey is slightly heavy, it allows for amazing styling with almost no pins! In all honesty, most pashmina you will find on the market are not actually made of pashmina fabric. Pashmina is a nickname given to scarves made out of the wool of Pashmina goats, a special breed of Cashmere goats. They are warm, lightweight and very soft. In recent years, “Pashmina” has been used to refer to any warmer soft scarves, many using a pashmina blended with silk, and some not at all. “Pashmina” has become a term used to market and markup the price of scarves. Look for the label “100% Pashmina”. Some may even use “100% Cashmere” though it should be noted that there is a difference between Cashmere and Pashmina, Pashmina has a smaller thread. 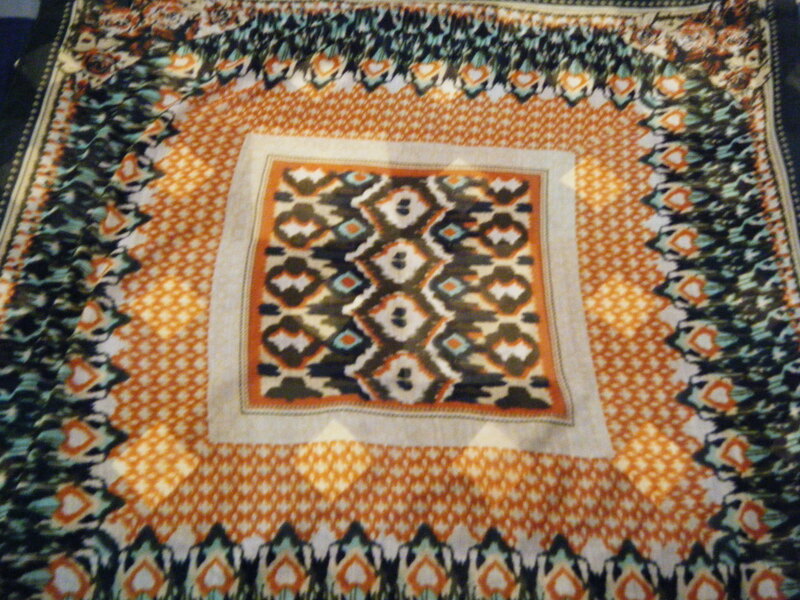 Pashmina from Nepal is believed to be the best and is usually marketted as “Chyangra Pashmina”. 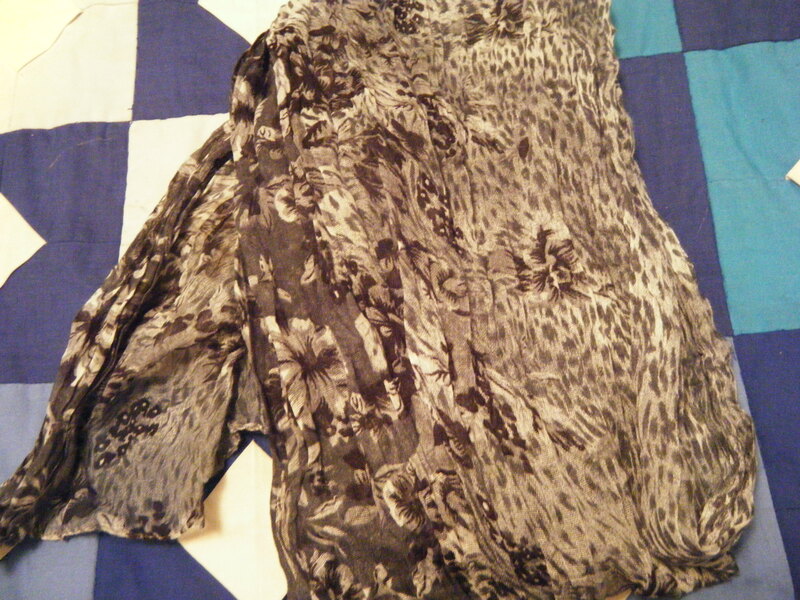 These scarves are basically shawls with both ends sown together. They can be fun to style if you know how to do it, if not, they tend to be a pain to style or very simplistic, but since they come in a wide variety of colours, simplistic might be the best way to make them pop!